Before there were names like Monty Python, Gervais, Jack Benny, and Morcambe dominating the history of British humor, there were names like Noël Coward, Murgatroyd and Winterbottom, and Happidrome who paved the way in the '30s and '40s and created the golden era of British comedy. 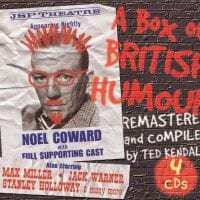 A Box of British Humour is an ambitious, four-disc document of that era and comprehensive in nature, including every single big name during their performance peaks. 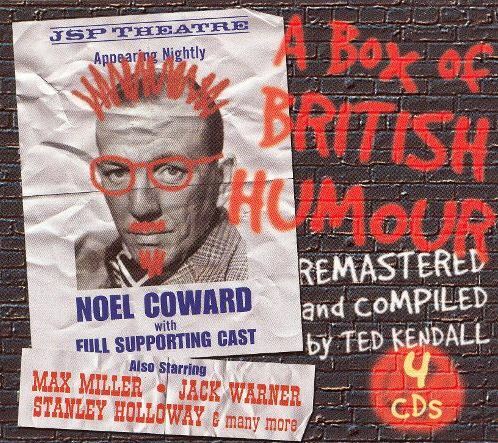 Largely culled from radio and theater performances, this box set is essential for students of humor and will delight (albeit properly and refined in the true English way) from start to finish.